Are you a fashionista who love to dig about the plush dresses around? That’s great and there some cult fashion designers who have come up with some of the most marvelous dresses that rightfully command a luxury price tag. 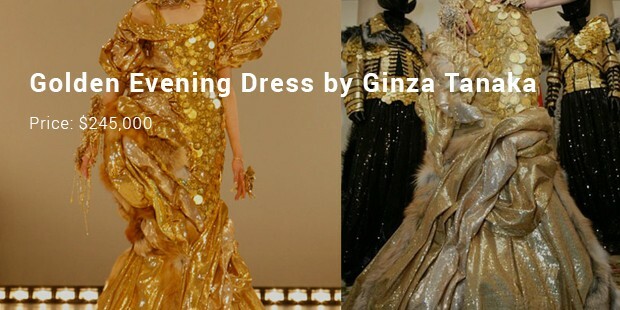 When it comes to most expensive dresses, you will find exquisite collections sequined with precious stones and metals- they are not just mere dresses but an asset to possess. Sometimes, it’s the ensemble of finest fabrics that up the price tag of the dresses. If you want to have a sneak peek on such plush attires, here is a list on the most expensive dresses. Designed by famous fashion designer Faiyzali Abdullah, this phenomenal evening dress is a bright ensemble of silk, chiffon, taffeta & satin. Moreover, the dress has been beautifully encrusted with a 70C pear-shaped diamond as well as something around 751 Swarovski branded crystals. It was displayed in 2009 STYLO Fashion Grand Prix In Kuala Lampur. It’s the expensive-most Muslim abaya dress & second most expensive attire in the world. British fashion designer Wingham is the marvel head behind this stunning creation which is decked up with as many as 2,000 black, white & the very rare unique red diamond. Moreover, this glam attire even features 14K gold! The dress sports a unique web-shaped pattern which is definitely a head-turner in any red carpet event. It’s lightweight and has been encrusted with over 3,000 diamonds and hence the name. The fortunate one to sport it was famous vocalist Samantha Mumbai who wore it during 2004 premier of Spider-Man. 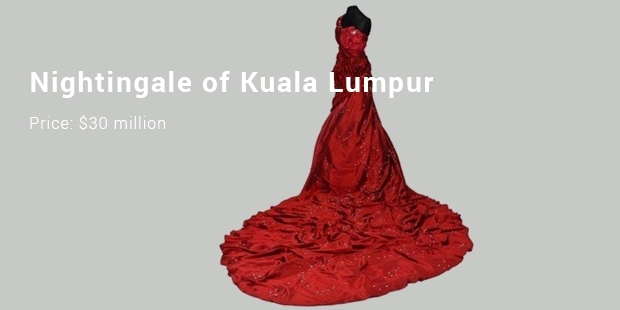 It is one of the expensive dresses in the world and the first one to cost more than a million. 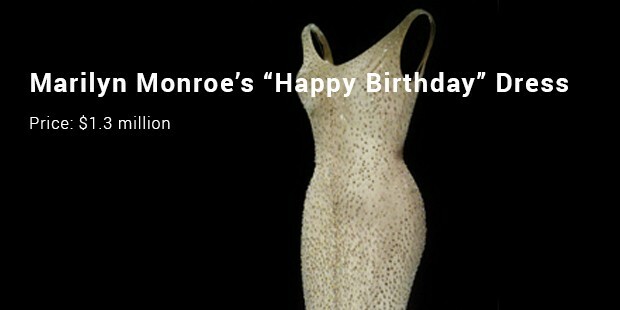 It was created for Marilyn Monroe’s to attend the birthday party of John. Kennedy. In fact, this dress is decorated with sequins like diamonds. 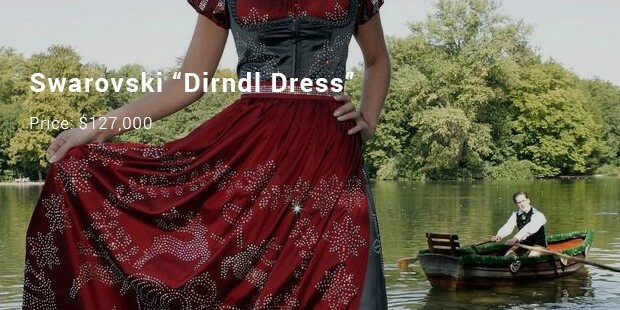 Made in Germany, this dress first appeared in Munich in the year 2006. In fact, the design of the dress is inspired to a large extend by the medieval times, and is created with a corset. In fact, the dress is covered in Swarovski crystals. 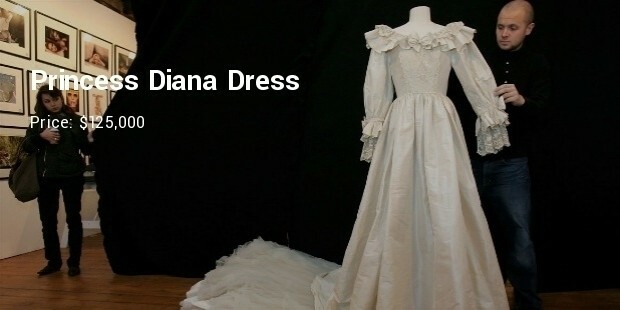 It is one of the unique dresses designed for Princess Diana. 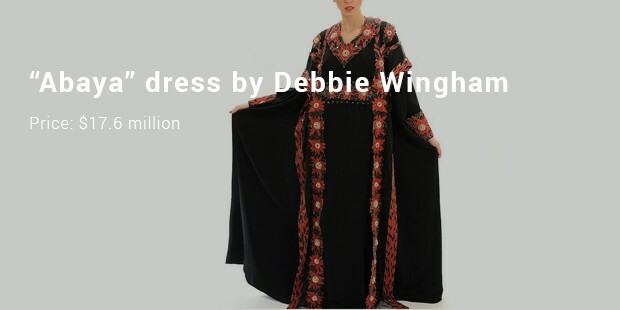 It was modeled by one of the finest fashion designers of the world known as Catherine Walker and Princess Diana just wore this dress a couple of times, and it is made of silk chiffon. These expensive dresses bear specimens of marvelous creativity buy some of the most brilliant fashion heads of the world. Although these dresses are meant especially for the richie rich given their superior price tag yet for anybody these are no simple attires but a phenomenal artwork in themselves – and hence the high price tag is justified here.